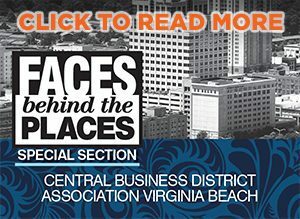 The Hampton Roads Chamber of Commerce celebrated their annual Beach Bash on June 2 at Neptune Park at the Virginia Beach Oceanfront. Chamber members and guests strolled through exhibitor booths featuring products and services of more than 40 local businesses. Chamber President and CEO Bryan Stephens awarded the winning kickball team from the Hampton Roads Sports Commission’s joint Annual Kickball Tournament, which was held earlier in the day. The Hampton Roads Chamber of Commerce partnered with Hampton Roads Transit (HRT) and Rail-Volution at the Transformational Transit Summit held June 27 at the Westin Virginia Beach Town Center. The Transformational Transit Summit’s purpose was to explore before-and-after impacts of light rail transit in economically vibrant cities/regions, to raise awareness of the transformative impact potential of light rail and to provide access to national experts’ insights and how-to information. Speakers included President/CEO of Hampton Roads Transit William Harrell, Virginia Beach Mayor Will Sessoms, President/CEO of Hampton Roads Chamber of Commerce Bryan Stephens, CEO of Rail-Volution Dan Bartholomay, and Chairman Emeritus for Williams Mullen, Tom Frantz. To read this article and more view our CovaBiz digital publication!